Mention football games around here, and folks immediately gravitate to the beautiful game as digitally constructed in the FIFA series. But PES? Man, those stories get more scorn than a business that specialises in getting rid of unwanted puppies. Last year’s PES 2014 however, hit a new benchmark for public hate, with a public Metacritic score right now of 4.5. That’s pretty low, and it might have something to do with the fact that the game was a buggy mess. And that’s after PES 2013, a game which is largely considered to be the best of the series, before the 2014 edition got a red card. Some folks say that PES 2014 felt decrepit and ancient, while others such as the highly valued opinion of FRG2000 reckon that the entire game was broken. And Konami agrees with that sentiment. “With PES 2014, we had a new engine – the FOX Engine – that we were trying to incorporate and many of the gameplay feelings of PES were just lost really, because we were trying to make a game that looked beautiful,” PES Production’s European brand manager, Adam Bhatti said to Videogamer. But really, PES has been known for playing the beautiful game but not really caring about… how we moved, having the most accurate animation. [Earlier PES games] definitely captured certain things, like a player run, for example, but it was super responsive and that allowed you to be very instinctive when you played. [In] PES 2014, you had to think two seconds before you were going to do something because the animation would play out, and that’s not PES. That’s all fine and dandy then, but what does that really mean for the franchise? Quite simple actually. 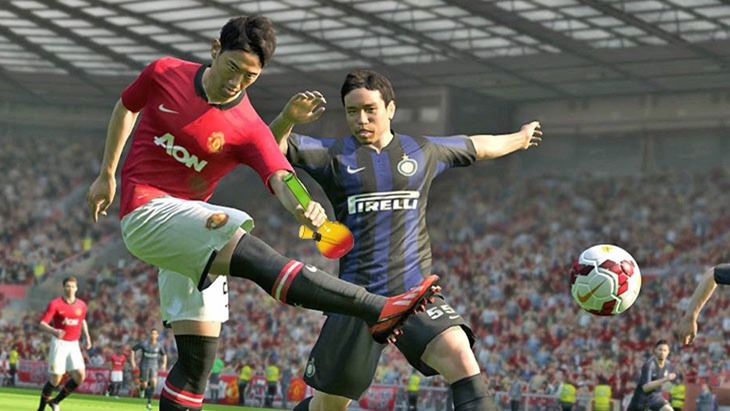 A PES game will dispense some football action when it’s done. Simple as that. Of course, what sounds simple is still a helluva a challenge for an annual sports game, and Suarez forbid that such a genre game release in the year that it is named after. Still, a game releasing when it is completely finished, even with micro-transactions, sounds like a great idea to me. My word, we could be onto something here.